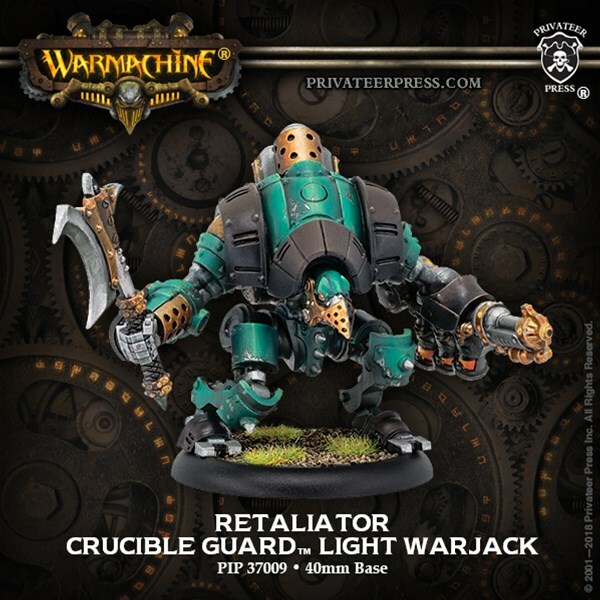 Privateer Press is showing off another couple Crucible Guard figures for Warmachine. 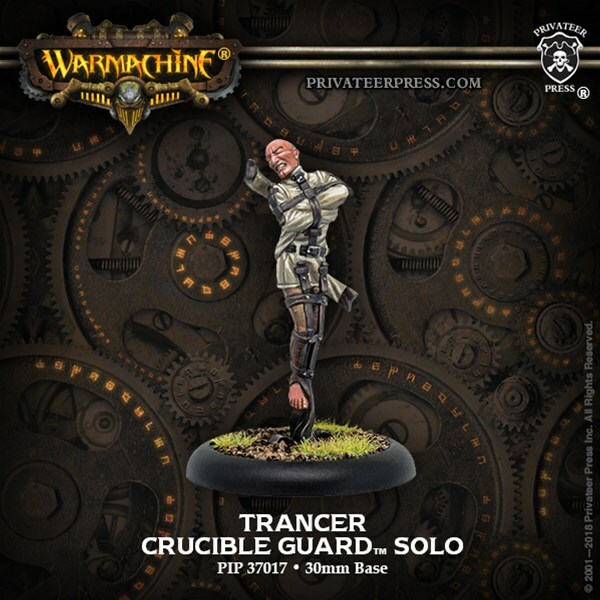 They're the latest faction to be hitting the table, and compared to the others, they can use all the releases they can get to get some more options out there. This time around, there's the Trancer solo, and a new version of a pretty old design, the Retaliator, based on the old Vanguard chasis.